Photo: The Caterina’s Club food delivery truck featuring Chef Bruno. Youngevity is expanding the reach of its charitable arm, Youngevity Be the Change Foundation, through a new partnership with Caterina’s Club, a Los Angeles area nonprofit that serves hot meals to local children. The 2-year-old foundation supports a roster of hand-picked charities, among them American Red Cross, Make-A-Wish Foundation and Wounded Warrior Project. 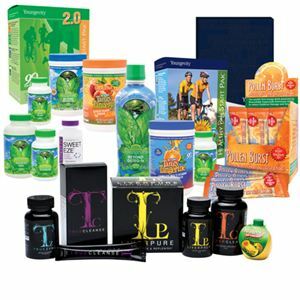 Funding comes from the sale of designated Youngevity products, with the company donating 100 percent of proceeds to Youngevity Be the Change.